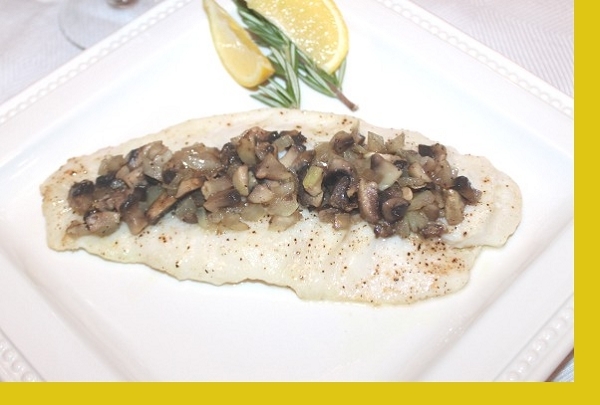 Lean, white and very high in protein, Tilapia is the ultimate family-friendly fish. 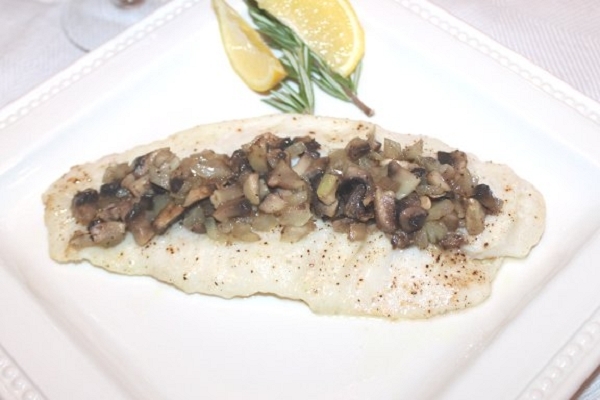 This lemon, ginger Tilapia is topped with a savory mushroom garnish with grape seed oil for a hint of nuttiness. Served with a side of vegetables or rice. 1. Coat a skillet with oil and heat on medium heat 2. Saute tilapia fillets 3 minutes per side or until the fish flakes easily then move to a serving dish. 3. Heat the garnish in the skillet, then pour over tilapia and serve. We loved the flavor of this fish dish. The veggies were a bit salty this time for us, but we loved the fish. This was a great dish. We loved the topping of mushroom and tomato. This was a favorite for the whole family! Light and delicious! I'm not a big fan of fish at all, and the first time ordered this at my husband's request, but the second time around, I found that I was the one suggesting it! Fantastic! It was very fresh and tender. The sauce was good but I felt a bit overwhelm by the olives. Would like some other thing besides olives or mushrooms. Maybe green peppers or corn or pimentos. What do you think. To all fish lovers, you have to try Maria's Lemon Ginger Tilapia: it is a light white fish with a delicious topping. You eat such food only in five star restaurants at a very high price! Thank you Maria. My husband and I thoroughly enjoyed this meal!